Interview with Dr. Judy Tsafrir, a holistic psychiatrist and psychoanalyst on the connection between imbalanced gut health and its effect on your immune system, emotional state, and more. 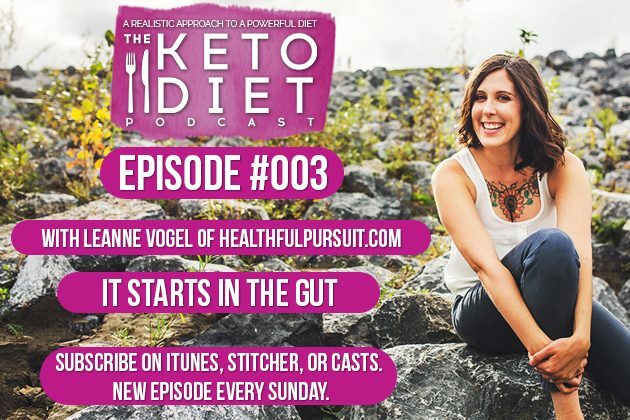 Leanne Vogel: You’re listening to episode number three of The Keto Diet Podcast. 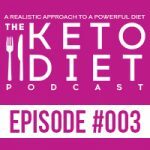 Hey, I’m Leanne from HealthfulPursuit.com, and this is The Keto Diet Podcast where we’re busting through the restrictive mentality of a traditional ketogenic diet to uncover the life you crave. What’s keto? Keto is a low-carb high-fat diet where we’re switching from a sugar-burning state to becoming fat burning machines. The Keto Diet has helped me with fertility, has ended my constant weight struggles, blood sugar irregularities, imbalance moods, and so, so much more. I want to share this magic with you using a realistic approach to this powerful diet, no restriction, new ways of looking at things, and positive support awaits. Let’s get this party started. Hey, guys. Happy Sunday. I’m so happy to have you here. Today’s awesome thing, the awesome thing of the week is Plume Lash and Brow Enhancing Serum. In fact, later on in today’s episode, we chat about toxicity, and how the products that we put on our body are directly related to our health. Without even knowing that we were going to be talking about this today, I planned on talking about Plume because one of my girlfriends started up this company. It’s fabulous, it’s amazing, and I get compliments on my eyelashes all the time, and how full and amazing they are, and they’re not extensions. Although I love my lash extensions, I couldn’t wash my eyes. I don’t know about you, but I really love washing my eyes. With Plume, I just put a little bit of their serum on my eyelashes before bed. It’s 100% natural, zero side effects. Other than making your eyelashes beautiful, you can also use it on your brow. I chatted with them. They put together a special coupon code for all listeners because we all love saving money. You can go to plumescience.com, and use the coupon code. If you’re in the US or you’re international, you can use the coupon code HEALTHFUL2016, that’s all in caps, no spaces, or for Canadian orders, you can use the coupon code HEALTHFULCDN, and that’s also all in caps. Today, we are covering the following items in today’s episode, nutrients to treat psychiatric problems, causes of imbalance gut health, and inflammation, and your immune system. The show notes for today’s episode can be found at healthfulpursuit.com/podcast/e3. Let’s hear from one of our awesome partners before we get started. The podcast is sponsored by Paleovalley, 100% grass-fed beef sticks, my new favorite, gut-friendly, clean protein snack. There are tons of new snack options on the market today, but nothing quite like Paleovalley’s grass-fed beef sticks. They are made from 100% grass-fed and grass-finished beef, which is really rare. It contains all organic spices, are all free of dyes, and are also carb-free, GMO-free, gluten-free, dairy-free, soy-free, and contain zero grams of sugar, but the big reason these beef sticks make me do the happy dance is that they’re fermented. Yes, just like fermented vegetables. As a result, each beef stick contains one billion naturally-occurring, gut-healing probiotics. They’re super convenient, delicious, and great for your gut. Don’t miss out. Exclusive to our listeners, Paleovalley is providing 20% off on all orders for a very limited time. You’ll also be given first dibs on their brand new, insanely delicious garlic summer sausage and summer sausage flavors, just like healthy, mini, hickory smoke sausages. Get your fermented, 100% grass-fed beef sticks for 20% off by going to paleovalley.com/keto. Load up your cart, and the discount will be automatically applied. Again, that’s paleovalley.com/keto. If you have an idea for a podcast episode, or you want to submit praise over and above the review that you’re going to or have left for the show, you can reach me at info@ketodietpodcast.com. I’m actually going to read one of the reviews that I received this last week from Liz126, “Love Leanne and her work. Restrictive keto just didn’t feel right, and I love her approach of still having some carbs while remaining keto. It’s all about balance and finding what’s right for you. This has taught me to get off the crazy weighing and measuring my food way of life and stop stressing so much. So much more freedom eating this way. Thank you for everything that you do.” Thanks so much for leaving your review. If you guys want to leave a review, all you have to do is go to healthfulpursuit.com/review, and it will take you over to a page where you can enter in your review by clicking the reviews section there at the top, and write a review. Usually, the write a review button is in purple, and you can give me five stars maybe if you want to, and write a little something. That just helps more people find the show. Alternatively, you can search for The Keto Diet Podcast on your podcast apps, and you can leave a rating that way. Today, we have an awesome guest on the show. Her show is Judy Tsafrir. She’s a holistic adult and child psychiatrist and psychoanalyst on the faculty of Harvard Medical School. In her private practice of Holistic Psychiatry in Newton, Massachusetts, a suburb of Boston, she uses a multimodal integrative approach to healing, which addresses body, mind, heart and spirit. She has been trained as a GAPS practitioner by Dr. Natasha Campbell-McBride, as well as Dr. William Walsh in Nutrient Therapy. She is also a reiki master, evolutionary astrologer, and painter. She has a blog called Adventures in Holistic Psychiatry at her website, www.judytsafrirmd.com. I love chatting with Judy. We actually have been planning for this interview for quite some time. I’ve really wanted her to come on the show, and chat about nutrient deficiencies, and how that can display in so many different ways. We ended up chatting a bunch about the connection between our gut, our immune system, and how our mental stability is impacted by both of these things. If you have a psychiatric condition, or there’s something going on in your brain that you’re not really sure what’s happening, today’s show is going to be for you. If you’re super frustrated with your gut, and what’s going on in your gut, and maybe you’re bloated all the time, or you’re having a lot of allergies, or perhaps you have an autoimmune condition that you just can’t figure out, we chat all about these things and more. The highlight for me, and I hope you experience it too is that Judy is a very, very calm, collected, amazing being. After our interview, I was so calm, and inspired, and motivated. I hope that you feel that energy from her as well. We gave a lot of tips and tools, which I will include in the show notes. Without further ado, let’s get right down to it. Hey, Judy. How are you doing? Judy Tsafrir: Really good. Thanks for inviting me. Leanne Vogel: Yeah, you bet. For those of you listening, there are probably a lot of people who aren’t familiar with your awesome work, why don’t you start off by telling us a little bit about yourself. Judy Tsafrir: I am a holistic psychiatrist. I’m trained to see both adults and children. I’m also a psychoanalyst. I have a private practice in Newton Center, which is a suburb of Boston. People come to see me because they would like something different than the conventional approach to treating depression and anxiety. A lot of people come to see me who would like to get off of medications. I have training in using nutritional approaches, which support the immune system, and use of supplements. Those are the kinds of things that I do in my practice that help people to feel better, in addition to talk therapy and spiritual approaches. Leanne Vogel: Before we started recording, you were telling me about the training that you had regarding nutrients, and using nutrients to treat psychiatric problems. I’d love to talk a little bit more about that and that whole concept. Judy Tsafrir: Yes, there’s a biochemist in Chicago named Dr. William Walsh. I learned about his work a few years ago and did training with him. He’s a man in his 70s, and since the 1960s, he’s been testing thousands of patients, studying their blood work and urinalysis, and has determined that there are a few imbalances in the blood or urine that if corrected with nutrients can really help people with depression, and anxiety, and other psychiatric symptoms. We do this laboratory studies. Then, prescribe a specific protocol that can treat a person who has, for instance, elevated copper, which is very associated with the anxiety, or over, or under-methylation, which is also associated with the anxiety and depression, or pyroluria, which is associated with social anxiety and depression. There are many psychiatric conditions that, actually, have a biochemical profile that can be corrected with nutrients. It’s different than just talking with someone and hearing that they’re depressed because you’re actually measuring something, and treating it with supplements. Leanne Vogel: Yeah. Instead of the prescriptions, which can cause a whole slew of issues and imbalances in of themselves when you treat them that way. Is that correct? Judy Tsafrir: Side effects, and also it damages the immune system to take prescription drugs. The supplements do not have the same effect as pharmaceuticals. Leanne Vogel: In this protocol, you mentioned testing, lab testing. Is it a blood urine, saliva? What kind of testing are you looking at? Judy Tsafrir: It’s not like extensive testing. It’s pretty targeted and limited. It’s some blood testing, like testing copper in the blood, and histamine levels, and zinc, and a few other things. Then, in the urine testing, something called pyrroles, and you can determine if a person has one of these imbalances that can be treated that is contributing to them feeling anxious or depressed. Leanne Vogel: I see that so much in my practice. I know in our community that’s listening right now, there’s a lot of concerns over constipation, inflammation, food sensitivities, candida, and in all of all of those symptoms that we see, generally, people are also experiencing anxiety and depression. Is it fair to say within this protocol that you followed and studied so diligently, can those issues in the matter of physical symptoms like constipation, inflammation display or be affected by or cause anxiety and depression? Judy Tsafrir: I think that those gut symptoms are correlated with all of the different psychiatric conditions. There’s some very wonderful work by a Russian neurologist named Natasha Campbell-McBride. I also trained with her. She created something called the GAPS Healing Protocol. Now in my practice, I don’t follow the protocol in the way that I learned it from her. I’ve modified it somewhat, but her work is all about the relationship between the gut and the brain. The protocol that she recommends is designed to heal and seal the lining of the gut and to rebalance the microflora in the gut because the balance of the microflora is what determines the health of the gut, and determines whether or not the gut lining is sealed. When it’s leaky, then there can be inflammation caused in the body and in the brain, and that does correlate, and I think it’s probably fair to say cause a lot of different psychiatric symptoms. Leanne Vogel: With the flora, I’m sure a lot of people listening are thinking, “Oh, you know, I eat pretty well.” Like X, Y, Z, this is what I do. What things can affect that flora and all these things? Judy Tsafrir: There are many things that can affect it. Diet is pretty central, and diet is foundational to what I do in my practice regarding helping people feel better. Most conventional doctors, they simply act like diet is a last resort rather than as a cornerstone of healing. It’s my conviction and experience that it’s one of the most important things regarding feeling well. Let’s see. What did you ask me? What was the question? Leanne Vogel: How can flora be affected either negatively, I guess would be the first one? Judy Tsafrir: Yes. By diet, it can be affected. If you have a diet that’s high and refined carbohydrates or in foods, processed foods that have a lot of chemicals and synthetic ingredients, the gut flora doesn’t like that. Antibiotic treatment can affect the gut flora. Hormones can affect the gut flora, like the birth control pill. So many young women, so many women are taking the pill, and it’s not good for the gut flora. It has all kinds of really damaging effects upon the immunity. Then, there are other things that affect the gut flora are all the pesticides and toxins in our environment. For instance, there’s something; I don’t know if you’ve ever heard of this, it’s called the Clean 15 and the dirty dozen. Leanne Vogel: Yes, so important. Judy Tsafrir: Yeah. There’s the environmental working group, and they designated. There’s 15 fruits and vegetables that if you avoid them, you reduce your pesticide exposure by … I don’t know what the number is, something like 90%. It’s like a very high number if you eat those things organically. At the top of the lists are apples, and stone fruit, and spinach, and celery, and potatoes are on there, but there are certain things that it doesn’t matter that much if you buy them organic or not like avocados or bananas. It’s six of one, half a dozen of the other; it doesn’t make that much of a difference. Yeah. There’s the environmental working group, and they designated. There’s 15 fruits and vegetables that if you avoid them, you reduce your pesticide exposure by … I don’t know what the number is, something like 90%. It’s like a very high number if you eat those things organically. At the top of the lists are apples, and stone fruit, and spinach, and celery, and potatoes are on there, but there are certain things that it doesn’t matter that much if you buy them organic or not like avocados or bananas. It’s six of one, half a dozen of the other; it doesn’t make that much of a difference. Paying close attention to your toxic load, and that includes personal care products. That’s something I always talk about with my patients as, “Are you being careful about what you’re putting on your skin or what you’re using for shampoo?”, because if you put it on your skin, you might as well put it on your tongue because it’s absorbed in the same way. Leanne Vogel: Dirt those kids like playing. Judy Tsafrir: Dirt, exactly, exactly, exactly, exactly. Dirt, exactly, exactly, exactly, exactly. Leanne Vogel: Yeah, just getting all in there. Totally. Judy Tsafrir: Yeah, but prescription medication is a big one that hurts the gut flora. All kinds of chemicals do. Leanne Vogel: Yeah. That birth control pill. It’s taken me almost ten years to recover from taking birth control. It wasn’t even that for that short of a period. I can’t imagine women on it 20, 30, 40 years. It’s pretty scary. Judy Tsafrir: Yeah, and it’s prescribed just as though there’s no consequence to it like just prescribed to help somebody regulate their period, or because they have heavy periods, or because they have acne, rather than telling somebody to change their diet and their acne will clear up. Leanne Vogel: For those wondering about flora and what they do, why is that important to us, I don’t care if my flora is good or bad, we touched on a few the impacts that a low flora, imbalanced flora can have on our mental stability, our digestion. For those curious or worried about food sensitivities, I would imagine that imbalanced flora could also cause food sensitivities. What are the symptoms, I guess, that are helped with the GAPs diet protocol? It sounds like your flora will be balanced out by eating this way, and in turn, I’m assuming will help the treatment of inflammatory bowel disease, leaky gut syndrome, all of those things. Is that right? Judy Tsafrir: Eating that way will help just so many different autoimmune conditions, as well as psychiatric and neurologic conditions. Your whole health is predicated upon the health of your gut because that’s how your immune status is determined by your gut health. Then, of course, your digestive symptoms are intimately related to the balance of the microflora in your gut. Leanne Vogel: We spoke about this before we were recording. A lot of listeners are following a ketogenic diet, which is naturally usually grain-free, especially if you’re following my protocol, there’s no grains or dairy in that situation, and they’re experiencing constipation. What are some steps that one could do to look at that as a whole holistic approach? Judy Tsafrir: I guess, if somebody is following a ketogenic diet, they do not have a diet that is low in fat typically because fat can be a good treatment for constipation, like increasing the fat in your diet. Dr. Natasha recommends coffee enemas as a treatment for constipation. I like to use magnesium preparations for constipation. I think constipation makes people feel lousy. There’s a supplement that I recommend to my patients. It’s called MagO7. It’s magnesium oxide. People have to experiment with it to see what’s the right dosage for them that will help them have a bowel movement. The same with Natural Calm, which is magnesium citrate. It’s a powder that’s put in water. I like those magnesium products. They’re not toxic, and they’re usually very effective and well tolerate. I recommend to people that they don’t allow themselves to be constipated, that they take magnesium products on a regular basis if they are suffering from that. Many conventional doctors will say, “Oh, take fiber.” Some people, their constipation is made worse with fiber. There’s a lot of conventional wisdom that I think is true like hydration, like exercise. I think that’s all true regarding treating constipation. Then, a probiotic that agrees with you because everybody is different, everybody’s gut flora is different, and a probiotic that is useful, and makes you feel well, and helpful might make another person feel sick. You have to experiment and see what works for you, but that’s also something that’s helpful for constipation. In addition to just having a nutrient-dense diet just so that you’re healing the cells that line the wall of the gut. Judy Tsafrir: Right, right, right. That they’ll have to figure out themselves what is the appropriate dosage. Leanne Vogel: Yeah. You mentioned healing the gut, specifically with those steps. I know I’ve heard a lot of people say, “Okay. Well, I’ve been doing this for like a month, and my gut feels the same.” How long in your practice, working with somebody holistically, how long can it take to heal the gut? Judy Tsafrir: It’s so individual, but a month is like no time at all. You mentioned earlier food sensitivities, and that is a really important piece. That’s one of the ways that my own practice has evolved since my training with Dr. Natasha Campbell-McBride because in the GAPS Healing Protocol, there are certain foods that are permitted, and they’re very healthy foods if you don’t have a sensitivity to them, but many people do have sensitivities to, for instance, egg whites, or nuts and seeds, or dairy. If a person is having a lot of digestive issues, or a lot of psychiatric symptoms that seemed gut-related like brain fog, I recommend that they do an elimination diet. I particularly like the Paleo Autoimmune Protocol, so that a person can determine what are the foods that they’re reacting to, and avoid them, and also not restrict their diet unnecessarily just to know what it is that is triggering you because, wow, for some people, they think that they have a sleep disorder. They think they have chronic insomnia, but when they stop eating egg whites, they’re able to sleep, but they haven’t figured out that it’s the foods that are causing their symptoms. Judy Tsafrir: Right. Nuts could be a very healthy food for some person, but for other people, it’s making their immune system go on to overdrive, and stimulating the fight-and-flight response, and they’re all jacked up on cortisol, and they can’t sleep. They feel anxious. Leanne Vogel: Yeah, totally. You mentioned the psychiatric symptoms of gut imbalance. What are some signs and symptoms that people can look for that may point to a gut imbalance? Judy Tsafrir: It can be anything. It could be depression. It could be anxiety. Many children who have autism have gut symptoms. People who have attentional problems have gut issues. The gut is the seed of all of it. I would say that I can’t think of a psychiatric symptom that there is that isn’t, in some way, related to the gut. Leanne Vogel: Let’s say that one is experiencing a psychiatric symptom, what would be the first step for them to maybe perhaps look at their gut? Would it be inflammation? Where would they start? Judy Tsafrir: I think the first thing to do, it depends on a person’s motivation. Leanne Vogel: I know, yeah. Judy Tsafrir: It depends on where they’re coming from. Sometimes, people come to me, and they’re already doing everything that I know how to do, and it’s hard to think of something new to suggest. Then, there’s other people who come who are eating a standard American diet and drinking a lot of wine at night, and that’s a no-brainer. First off, let’s get rid of the gluten, and dairy, and sugar, and alcohol. A whole foods diet, avoiding the chemicals in foods, in processed foods. That’s the place that I would start, and decreasing the refined carbohydrates is also a very good place to start. Dr. Natasha’s protocol, and also the Paleo Autoimmune Protocol, they’re grain-free, which for some people represents a huge, huge shift in the way that they’re eating because the majority of their diet is bread and pasta. Leanne Vogel: Yeah. I can’t even remember what it’s like to have bread and pasta. There’s no room for it. I know when I was switching over many, many years ago, it can be extremely overwhelming for people. The benefit to this community is that I would say probably 90% of everyone listening right now is eating ketogenic, more of a whole food-based approach. For them, if they’re having these gut symptoms or these psychiatric symptoms that they believe are linked to gut health, I think what you’ve already mentioned is looking at the dirty dozen clean 15 because, in fact, a lot of keto foods are on the dirty dozen. Judy Tsafrir: No, I haven’t heard of that. That’s good to know about. Leanne Vogel: Yeah, yeah, apparently. I haven’t checked it out personally. I make almost all of my stuff just because I find it’s way easier, and I use Dr. Bronner’s Castile Soap as the base for almost everything that I make like deodorant, and body wash, and facial wash. If those listening are thinking like, “I eat keto, what more can I do?”, Dirty dozen clean 15 might be good. The toxicity of the things that you put on your body, I love the analogy that you mentioned about if you’re putting it on your skin, you may as well put it on your tongue. I’m going remember that one. Judy Tsafrir: Also, the stuff about the pharmaceuticals and the birth control pills. A gut flora, I feel like everybody has a piece of the elephant. It is the gut flora, but I think there’s also a huge … I think Dr. Walsh is on to something with these different metabolic, biochemical imbalances. Some people have methylation disorders. They’re born with a genetic propensity to be under-methylated or to be over-methylated. Methylation is just the key to all these different biochemical syntheses, processes in the body of neurotransmitters. If you don’t correct that methylation problem, they can have a perfect diet, and be doing everything for their gut, and they’re still feeling lousy. Same for copper overload or pyroluria. It’s not just one thing. I think the gut is super important and super foundational, but I think that these biochemical imbalances that are related to depression and anxiety are also a really big deal, as is a person’s emotional life. If a person has had a lot of adverse events in childhood and has developmental trauma, this regulates the immune system, and as an adult. If you can get into some psychotherapy to deal with emotional issues, or to get into some of these body-based trauma therapies, that can be very, very helpful to your overall health and well-being. In addition to the way a person feels about their spiritual life, if you feel like you’re just alone in the universe, and everything is random, and you’re living with a lot of feelings of disconnection and fear, you’re not going to be feeling well. It’s important to develop a spiritual life, and to have a community, and to take care of yourself, and be mindful in that realm as well. There are so many pieces to it. You can’t just focus on the gut health or on the supplements. There are many ways to think about supporting ourselves to be optimally vibrant and healthy. Leanne Vogel: If somebody has tried everything and feeling hopeless, where they can go to get support with the biochemical imbalance and supports? Where do they go with that? Judy Tsafrir: … but Dr. Walsh has a website that’s called The Walsh Research Institute, and there’s a page on that website that’s called Clinical Resources. It’s listed by geographical area. You can look in your area and see if there’s a practitioner there who knows about his approach. Judy Tsafrir: Yeah, that’s what to do. I read about all of these things on my website. I have a blog, and I’ve written a lot about the different conditions that I’ve learned about from Dr. Walsh to treat like the methylation problems or the copper metabolism problems. It’s something to explore because I think it’s very under-recognized, and can be so helpful. Judy Tsafrir: It’s huge. It’s huge. It is huge. It has a very profound impact. If those listening are overwhelmed at the fact, the potential of going to a classroom and doing this, or going to a yoga class when you’ve never been there, we’re partnered up with Daily Yoga app. If you go to dailyyoga.com/keto, you can check out their app for free for seven days if you use the coupon code keto, all lowercase. That gives you meditation classes, yoga classes free for seven days. You just download the app, put in the coupon code. It’s nice. I’ve started doing a morning practice every morning after my meditation. We’re talking maybe 20 minutes. Those 20 minutes can make a huge, huge difference in my day. That’s 20 minutes less stress that I’m going through. Leanne Vogel: What do you say to clients? There’s a lot of facets, and we’re talking about a lot of different things. I’m sure that there’s an area of overwhelming for a lot of people of, “What do you mean I have to change all these things, and I have to do that?”, how do you overcome objections for change? Judy Tsafrir: I think everybody has to take it at their pace and maybe try not to do everything at once depending on where a person is. I think if you try to do it everything at once, and then you’re going to fail, and then you’re just going to be more self-critical. To take baby steps and to acknowledge that you’ve made small changes, and just to keep adding new habits and changes that move you in the direction of improved health and well-being, but not to try to change everything all at one time. Leanne Vogel: Yeah, that would be very overwhelming. Think of anyone who tried to do that, for sure, and then it’s just that all-or-nothing mentality, I’m sure, can work against you. In anything, if you think, “Okay. Well, now, I’m going to do this gut healing protocol. I’m going to remove everything. I’m going to do everything,” that can only last for so long. It gets overwhelming in that state, I’m sure. Judy Tsafrir: One thing I want to mention that we haven’t touched upon is many people, I see, are drinking a lot of wine or just having quite a bit of alcohol at night like, “Oh, I’m just having a glass or two.” How big is the glass? They just feel incredibly better when they stop doing that. It’s a no-brainer, but for many people, the alcohol does not help matters. Leanne Vogel: It’s very hard. I know I’m surrounded by that all the time. It’s interesting to watch people get very anxious at the potential of not having alcohol with dinner. It’s almost like they can’t do it. They don’t think they’re fun enough or interesting enough unless they have it. It’s like interwoven with their identity even, which gets funky. Judy Tsafrir: Just deals with their social anxiety. It’s really interesting, that condition pyroluria that I mentioned is very associated with social anxiety. That’s like they have low zinc and low B6. They might feel a lot less anxious and in need of the alcohol if they corrected that, but it doesn’t change regarding what you just said, but they could have a little bit of wine with a whole lot of club soda or Spritzer, like Seltzer water, to have something. Leanne Vogel: Yeah, that’s brilliant, totally. Just to have that taste, have something special. It’s like maybe a couple of tablespoons of wine as opposed to a ginormous class. Judy Tsafrir: Right, or maybe you have some Kombucha or something. Leanne Vogel: Yeah, I’m a big fan of water kefir. That’s my thing. It’s bubbly, and it’s good, and it’s fermented. Judy Tsafrir: Exactly, exactly, and it’s good for you. Leanne Vogel: Yeah, exactly. How cool is your practice, though, the fact that you get to look at so many facets, not just what the person is experiencing in speaking one-to-one type of place, but you get to see the underbelly of what could be happening based on their nutritional imbalances? Judy Tsafrir: It’s fun when somebody comes, and is feeling lousy. Then, you work together. It’s so amazing when they do what you recommend them; they feel so much better. It’s a pretty, big, fun thing. Leanne Vogel: Totally, and very rewarding to see that change in your clients, I’m sure. When it comes to autoimmunity, we haven’t touched on that one yet, and I know that that plays somewhat of a role in all of this. What are some steps based on the protocols that you’ve studied that one can do if they have an autoimmune condition? Judy Tsafrir: The first thing that I would do would be an elimination diet, to do something like the Paleo Autoimmune Protocol, and try and identify if there’s something that they are eating that is causing their symptoms. There are people who have a terrible sensitivity to tomato, and tomato is in everything. If they even get the slightest little bit of tomato concentrate, they have a horrible flare of their immune condition, autoimmune condition. I think the first thing to do is to sort out if there’s some trigger. Then, the rest of it is all of those things that we talked about that it has to do with reducing their toxic load and being very careful with the personal care products, and their stress level, and all the same things that we just talked about. If there’s trauma in childhood if they don’t have any spiritual practice, all of those things that’s all … This is all about the immune system, the whole thing that we’ve been talking about. The gut flora is the immune system. The gut is the immune system. Leanne Vogel: I would imagine that with a benefit on the gut, it also benefits the immune system. Now, there’s been talk about serotonin and gut health. Are you familiar with any of that in regards to a boost in serotonin when your gut is healthy and balanced? Judy Tsafrir: Yeah, there’s lots and lots of … The gut has been referred to as the second brain. There are tons and tons of receptors, and the gut produces all kinds of neurotransmitters. Serotonin is one of the neurotransmitters that is related to a person having a feeling of well-being. If you heal your gut, your serotonin will be increased. The Keto Diet Podcast is sponsored by Daily Yoga, an app that delivers 50 high-definition online yoga classes, so that you can Namaste in the comfort of your own home, in a hotel room, or anywhere really with the option of professionally scheduled programs to reach your goals, whether they’d be overcoming insomnia, changing body composition, or calming anxiety. The multilingual classes, as well as various meditation courses distinguished Daily Yoga in the app space. After your work out, you’re presented with stats of your workout; time worked, intensity, calorie burned, and so much more. Download the app by going to dailyyoga.com/keto, access though the show notes, or type it in manually to your browser, and use the coupon code keto, all in lower case, no spaces, to unlock all of the programs and courses at once for free for seven days. Again, that’s dailyyoga.com/keto, and use the coupon code keto, all lower case, no spaces, to unlock all of the programs. Leanne Vogel: We spoke a little bit about spiritual practices, and connecting to their universe and the universe in general. When you’re working with clients, in addition to yoga and meditation, are there other steps that you walk your clients through on how to create that for themselves? Judy Tsafrir: Yeah, there are. One thing that there’s just a lot of research supporting is a gratitude practice. They’ve done studies where if the person, at the end of the day, takes the time to write down five things that they feel grateful for that after a month or two, the person who’s been doing that is measurably happier than a person who hasn’t been doing that. It doesn’t have to be big things. It can be, “I just feel grateful for the warm shower that I had,” or that “I love the way that my son smiled at me,” or just small things to notice and to take in. One thing that I’ve talked about with my patients is, it’s analogous to gratitude, but it’s not quite the same thing, it’s receiving. Like if somebody says something to you like, “Wow, Leanne, that’s like really … It’s such a great public service that you’re doing with your podcast,” that you don’t just let it just slip by you, that you hear it, and take it in, and sit with it. You don’t let it go. You notice it. When you have a compliment or when you have some blessing that happens to you that you notice it, that you notice it, rather than just letting it go by without really giving it the attention that you could. The gratitude and the receiving are a couple of things. Leanne Vogel: I know that the gratitude thing is something I just started because it’s challenging at first, but I started doing it in my meditations. I have theme meditations for a week, and I focus on one. This week is gratitude. At the end of the day, it’s really interesting to not only feel that gratitude, but let it in also. Feel how gracious you are for that moment, and let it wash over you. I find that’s helpful. Even when people say positive things, it’s so easy to say, if somebody comments, “Oh, you look so pretty,” immediate reaction is, “Well, no, I’m not,” or “My legs look fat,” or you don’t actually take it in, you rebuttal with a negative thought of yourself. Not in and it of itself of just taking it in and saying, “Thank you,” can be a powerful practice, but also very challenging, and you just notice how often you don’t take a compliment, which is so good. Judy Tsafrir: Right. Another thing is, and this is analogous, but people can get into a mind state that they’re really focusing on everything that’s not right, everything that’s lacking, everything that they don’t like about everything that they wished were different, rather than noticing all the things that are pretty good, that you do feel happy about. I think that there is a discipline that one can bring to just trying to be mindful about that because all of these are habits of mind, and when we’re focusing on all the things that are bumming us out, we feel bummed out. I don’t mean to be a Pollyanna and to deny, but I think there is a way of putting our attention on the things that are working. I remember, there’s a Buddhist monk. He’s very old now. Someone who I liked named Thích Nh?t H?nh. I remember listening to him giving a lecture about the non-toothache. Just being grateful that you don’t have a toothache. When you have a toothache, that takes up all of your psychic energy. The non-toothache that is so good. Leanne Vogel: Totally, yeah. If you’re having a hard time coming up with gratitude things, be like, “I’m really happy that I’m not constipated,” or whatever. Judy Tsafrir: Right, exactly, or that’s because you’re bound to feel constipated. Leanne Vogel: Exactly, that’s fabulous. I like that because it could be hard too when you’re first getting started to feel happy about things. Also, there’s this societal thing where it’s almost you feel guilty when you’re happy about your life. That in and of itself is a huge thing. Judy Tsafrir: Right, and I think women, in particular, there’s a way in which I think we’re conditioned to complain to each other and to talk with each other about what’s not working in our lives, or what we’re unhappy about, rather than feeling comfortable saying the things that are good and that we feel proud about, and like that’s somehow bragging, and boasting, and maybe it’s going to make the other person feel envious or bad. It shouldn’t be like that. I think that it would be good for everyone if we could shift the conversation to a higher vibration, and being more positive. Leanne Vogel: There are people out there like that. I went through a calling of my friend bucket and got rid of the ones that were just like I can’t have you in my life if you’re always negative and always complaining about. Like, “I can’t do it anymore. I’ve tried to make it positive. I’ve had this conversation with you.” It’s really interesting when you shift a friendship from that, “I totally understand what you’re saying of that back and forth, and then he did this, and she did that, and how dare they and my life is horrible,” to saying, “You know what, every time we get together, it’s always negative. What’s going on in your life that’s great right now?” Some people are very receptive to that, and other people just can’t do it, but there are people out there to support you in your life of a loving life and being happy. Judy Tsafrir: Right. I think that something that you’re saying to me, that’s really important about really being conscious about who you are friends with and who you spend a lot of time with because it does affect us who we are around, and what their vibration is like, and how it impacts us. It’s very important to not spend time with people who leave you feeling drained and depleted, and upset. It’s very bad for your immune system. Similarly, to not expose yourself to lots of toxic television or media. Just to be mindful of creating beauty, and order, and harmony around yourself. That will make you feel so much better than being indiscriminate, and just allow yourself to be exposed to all of the toxic things that are very readily available to us. Leanne Vogel: Yeah, everywhere, everywhere. Also, inspired. That’s a big thing for me is if I’m going to watch a TV show or something, I usually go for children’s movies because they make me feel inspired and happy. It goes for everything like you mentioned, social media, podcasts, YouTube videos, anything that you’re taking in, anything has an impact, ultimately, I love that, ultimately, on your immune system, and your gut, and your everything. Judy Tsafrir: Right. There are so many things to keep in mind regarding protecting ourselves and nourishing ourselves on so many levels. Leanne Vogel: Yeah. It’s a complex item. That’s for sure. Is there anything else you want to share with our listeners that you feel like we didn’t cover that you want to share? Judy Tsafrir: There is spiritual health available to us, and that we’re much more likely to avail ourselves of it if we ask for help. That can be in whatever form that you like, but knowing consciously. It’s related to what we’re talking about before, both consciously to ask for help and guidance like, “I don’t know what I should be doing. Show me the way.” To ask for help. Also, to give thanks all the time. There are so many blessings. I think, to cultivate a consciousness of all of the blessings just does so much for having a life that gives us. Leanne Vogel: Totally. Even if you’re not religious, I’m sure it’s something that you could do regardless of religion or belief system. Judy Tsafrir: In your way, in your way. Leanne Vogel: Yeah, totally. Just being gracious. Judy Tsafrir: I think there is a lot of help available that we can tune into. Leanne Vogel: Yeah, beautiful, amazing. Where can people go to find more about you, Judy? Judy Tsafrir: Come to my website. It’s my name, judytsafrirmd.com, and I’d be very happy to have people subscribe to my blog. Some of the posts that I’ve written are really like forums where people talk to each other more than they’re talking to me. Some posts about methylation, or about histamine intolerance, and GAPS, and there are some posts that there’s a really big comment section where people are talking with each other. Some things about bio identical hormones, there’s one post like that. There’s a lot of information there, and a lot of opportunities to converse with others that I think is valuable. Leanne Vogel: Conversation and community, which is good for your immune system. You all have it. Leanne Vogel: I’ll include the link to your website in the show notes if anyone is wondering, which you can find at healthfulpursuit.com/podcast/e3. Thank you so much for coming on the podcast today, Judy. Judy Tsafrir: I enjoyed it. I enjoyed it. Thank you so much. That does it for another episode of The Keto Podcast. Thanks for listening in. You can follow me on Instagram by searching Healthful Pursuit, where you’ll find daily keto eats and other fun things, and check out all of my keto supportive programs, bundles, guides and other cool things over at healthfulpursuit.com/shop. I’ll see you next Sunday. Bye.